10 In. 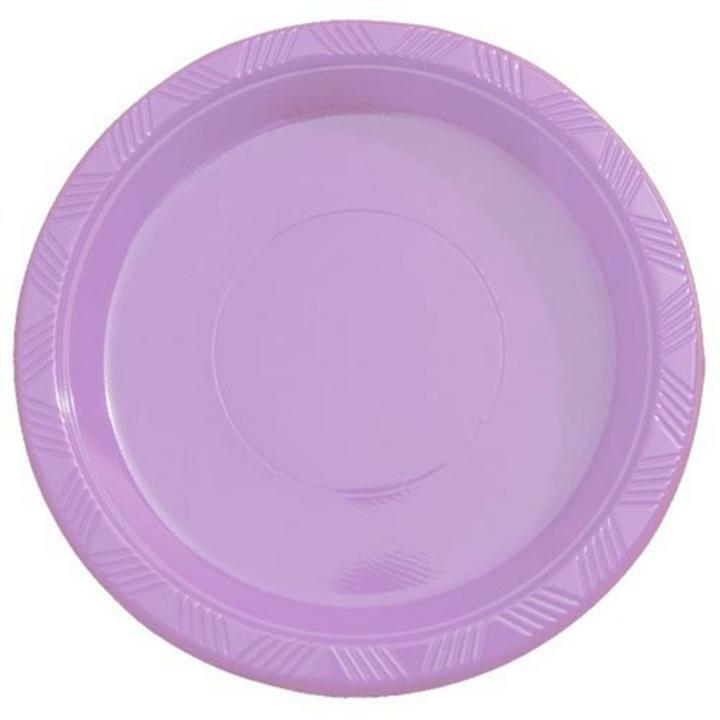 Lavender Plastic Plates - 50 Ct. Lavender Luncheon Napkins - 20 Ct. Lavender Beverage Napkins - 20 Ct. Lavender Cutlery Combo Pack - 48 Ct.
Light Yellow Luncheon Napkins - 20 Ct.
7 In. Light Yellow Plastic Plates - 50 Ct.
1 package of Lavender 7" plastic plates. Each pack has 50 plates. These heavy duty plastic plates are beautiful and have vibrant coloring. They will make any event look special. These colors are the most vibrant we have come across in any line we have dealt with to day!